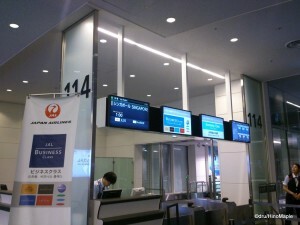 Haneda Airport is the world’s 4th busiest airport and Narita is ranked around number 42. In terms of complete systems, Haneda and Narita combine to be the 3rd largest airport system in the world. 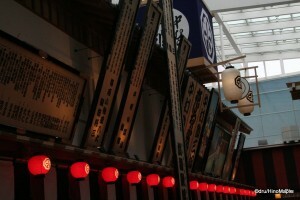 Haneda is primarily a domestic airport and Narita is almost exclusively an international airport. They both have their pros and cons as I have mentioned in the past and the future of both airports is looking pretty static. Japan wants to improve their airport facilities and to boost the number of passengers using both airports, but due to a bureaucratic mess as well as trying to save face, they refuse to do anything productive between the two airports. With the 2020 Tokyo Olympics, there is a potential need to expand both airports or find a temporary solution for the sudden influx of passengers to Tokyo. Unfortunately, all involved in the decision making process continues to waste time and resources on funding both airports and Tokyo continues to fall in terms of being a powerhouse for air transportation on the Asian east coast. There are a lot of historical reasons for this but I wanted to focus a lot more on the future potential and some of the ideas that have been brought to my attention, both by me as well as by others. The status quo in Tokyo will not work as both Haneda and Narita are nearly at capacity. There is a need to increase the number of landings and take-offs at both airports as there is still a large demand by the airlines and there will be a huge influx of passengers for the 2020 Olympics. Currently, Haneda has 4 runways and Narita has 2. Both are comparable in terms of services offered but Haneda is by far much closer to central Tokyo than Narita. The easiest method of expansion is to expand Narita Airport. This is probably the “simplest” solution in terms of looking at things from the outside but it is by far the most difficult in terms of politics. Narita was built with much hatred to the local community. They are now accepting of the airport itself but the people who live immediately in the area around the airport are still angry at the government. There is a reason you have bag checks at the airport. They want to prevent people from bringing in bombs or other things like signs to denounce the airport, however the security checks have reduced significantly and they are planning to phase this out by the end of the 2014 fiscal year. It also took a long time to extend the second runway to its current length due to local opposition and there is a unique shape to one of the taxiways at the second runway because of land rights issues. In all honesty, the airport cannot expand until all of the land in the area is vacated due to the old people passing away and their children giving up the fight to keep the land. It is generally seen as being possible to expand Narita but it is probably a non-starter if you ask me; at least not for at least another 50 years. Personally, I think expanding Haneda Airport is the best option but it is also the least probable option politically speaking. 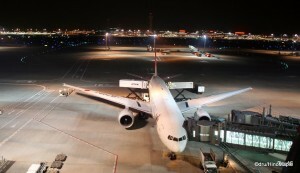 Haneda has been “designated” as a domestic airport. In 1978, Narita was opened becoming Tokyo’s International Airport and Haneda became exclusive to domestic travel. 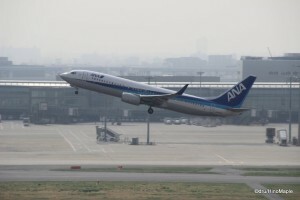 Recently, things have changed and Haneda sees more and more flights being used for international travel. The restrictions on international travel at Haneda have eased but it is generally restricted to the early morning or late evening hours. You will see a huge rush in traffic from 10pm and a huge rush around the first train as people try to get in and out of the airport before the domestic flights really start. Recently, a 4th runway was built to the south of the airport on a new man-made island. I think it is perfectly feasible to build 2 more runways allowing for a total of 3 runways to be used at the same time. It would be a lot better and they could also triple the size of the international terminal. They are currently expanding the international terminal which has been a real success. There isn’t a lot of room left at Haneda but there are options to help reduce this congestion. It may take a generation or two but it will be interesting to see what will happen with Haneda. Hopefully they will continue to expand in the future but knowing the bureaucracy surrounding all transportation, we won’t know what will happen for a long time. One option I did hear of is to close Narita and build a new airport, or just build a third airport. This airport was suggested to be on the eastern shore of Tokyo Bay, near the Aqua Line highway that crosses under Tokyo Bay from Chiba to Kanagawa. I think this is possible but not worth it. The location is not really convenient as the travel time by train would not be very different to the current times it takes to get to Narita. You then have to procure more land in the new area as well as figure out how to decommission Narita Airport. The government is pig headed enough to want to keep Narita as is and never admit they made a mistake. Governments are always hesitant to admit a mistake and the Japanese government is even worse. Any idea to create a new airport to replace Narita is a non-starter if you ask me. As a secondary airport, I can see it, but I really doubt either of these will be done with a new site; unless they consider merging both Haneda and Narita into a new site, but I don’t see this happening. Tokyo actually has a third, relatively unknown public airport in Chofu, about 20 minutes west of Shinjuku. The Chofu Airport is a very small airport with only an 800m runway. It would be very difficult to convert the airport into a larger airport, but the feasibility of converting it is there. You can double the length, maybe triple it, to accommodate regular large aircraft and expand the terminal to allow LCC traffic to land there. The location is very good but unfortunately due to the restrictions of the area with a large university and a large stadium very close to the air field, it seems this would be somewhat infeasible. The only other two air strips would be in Yokota, western Tokyo, and Atsugi in Yokohama. Both of these are US bases and while it is possible to evict them and build a new base for them in different locations, I think the local communities that would inherit the bases would not be so happy with it. They are also somewhat difficult to access from Tokyo. Yokota is more feasible as it is on the main Chuo line from central Tokyo which would be about 30 minutes away if you could use a direct express train. The only problem for this is that as an LCC terminal, it wouldn’t work well as it is still a little far. Most LCC terminals need to be built near the city in order to make it convenient or else no one would want to use it. The savings of an LCC become negated by the costs and time lost travelling to distant airports. This can easily be seen by Ibaraki Airport which is quite a distance from Tokyo. There is a strong push by the Governor of Tokyo to have Yokota converted into a temporary civilian airport for the Olympics but politically speaking, this is very difficult as the US military is currently saying no. In general, I think a complete reorganization of air travel in Tokyo is needed. Focusing all passenger traffic in Haneda would be ideal with Narita becoming a viable LCC. The problem with Narita becoming an LCC is that it is too far from central Tokyo, but it is possible. Narita wants a sizable chunk of the LCC market but they seem to be struggling with the lack of prime takeoff slots. They have instigated a very interesting method to get planes in and out of the LCC terminal by having them run around a cul-de-sac for their boarding and de-boarding procedures. 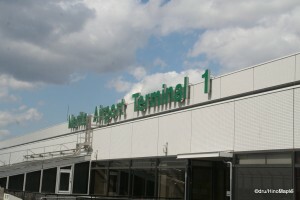 They still need to work a bit more as the LCC terminal is still just a small corner adjacent to Terminal 2. I can also imagine Narita becoming more of a cargo facility as it is currently the main cargo facility in Tokyo. Another possibility is to merge the airports into 1 company, as currently they are 2 separate companies which mean they will fight for air traffic. 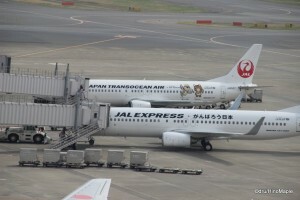 If they were a single company, it is possible that they would work together to mutually enhance the air travel in Tokyo, but that is not necessarily true either. Ultimately, the best option is to just expand the current airports, but that is very hard to do, both physically and politically as I mentioned. In a perfect world, we’d see Haneda become 3 times bigger and Narita becoming nothing more than a memory. Let’s hope the government works quickly and we can see air travel become more convenient and cheaper in the future; if not for my own sake, but for the Olympics which will be here in 7 years. This entry was posted in Planes, Tokyo and tagged Air Base, Airport, All Nipopn Airlines, All Nippon Airline, ANA, Chofu, Chofu Airport, Haneda, Haneda Airport, JAL, japan, Japan Airline, Japan Airlines, LCC, Low Cost Carrier, Narita, Narita Airport, tokyo, Yokota, Yokota Air Base by Dru. Bookmark the permalink. Heh. Maybe I should try to Google this a bit more. You ever heard anything like that? I don’t know about Japan but my understanding is you only own the surface and a little below. I think below is owned by the property owner in Japan, hence no subways under buildings most of the time. As for air, I think not. Planes do go over Tokyo but it isn’t efficient. Planes have roads like cars. Hence they don’t fly much over Tokyo. Also, over the US bases, no flying.